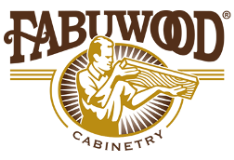 Transform your home with high quality all wood cabinets and flooring from the experts. Located in Bridgeport, Connecticut, Barnum Tile & Kitchen specializes in custom cabinets for your kitchen and bathroom, floor coverings and ceramic tile. Whether you’re looking for classic or contemporary, traditional or timeless, our team at Barnum Tile & Kitchen offers a wide selection of flooring options and custom kitchen cabinets for any style. Our experience and passion for quality design has set us apart from the competition for decades, and we are proud to be the Fairfield County’s premier choice for kitchen and bathroom design. Visit our store today to browse our inventory, discuss your custom design and discover why we are a leader in our field. Come in see our selection and save.